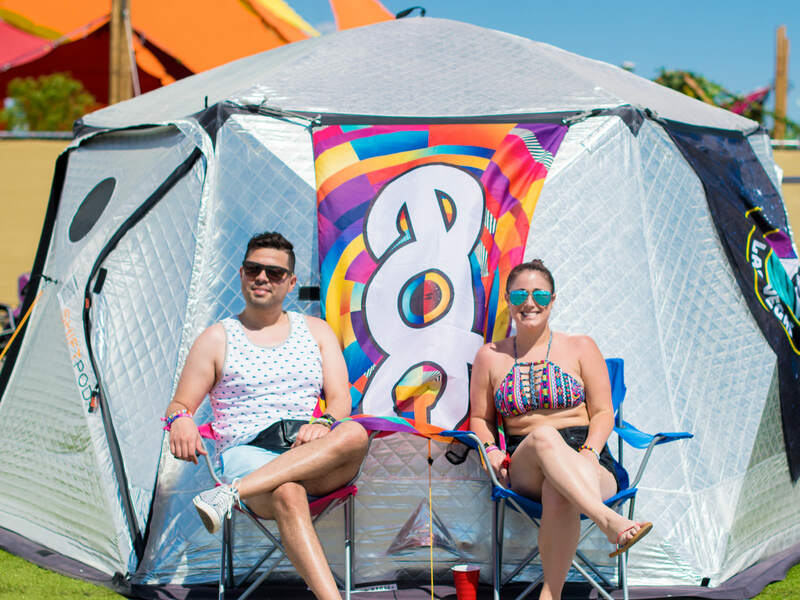 2018 marked the inaugural Camp EDC, the camping venture run by Insomniac to coincide with the Electric Daisy Carnival. While the festival dazzled and impressed, Camp EDC was far from perfect. The first day saw long wait times to enter the camp and forced many to turn back to the strip and get hotels for the night; others experienced issues with their ShiftPods like missing amenities or power problems. Since this was the first time Camp EDC had ever been executed, fans expected some some hiccups. Thankfully, for 2019, it looks like Camp EDC is going to be better. Much better. We can only learn from our mistakes right? This year there are going to be a lot of new features, improved amenities, redesigned components, and additional conveniences. There are also more shaded areas, space in front of the shift pods, eco-friendly grass and more. Campers will get their very own kick-off party along with other amenities such as daily class, pool parties and more. See the new map and all of the improvements in the graphics below, including the massive Mesa area.